Ayana Reyes is a Level 8 and she placed 1st on Vault with a 9.450, 1st on Floor with a 9.450, and placed 3rd in the All Around with a 36.775. Skye Fairrington is a Level 8 and she placed 1st on Bars with a 9.300, 1st on Beam with a 9.325, and placed 2nd in the All Around with a 36.325. Susie Stack is a level 7 and she placed 1st on Beam with a 9.350. 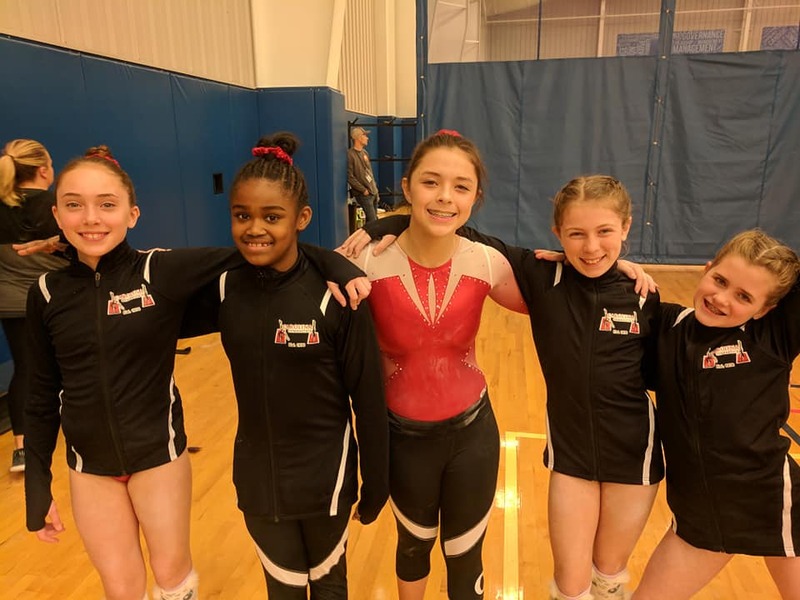 Joie Lynne Steinberger is a level 7 and she placed 2nd on Beam with a 9.250, 1st on Floor with a 9.375, and placed 3rd in the All Around with a 35.050. Samantha Norris is a Level 6 and she tied for 3rd on Floor with a 9.125. Elizabeth Coble is a Platinum and she placed 1st on Bars with an 8.925. Hanah McGrory is a Platinum and she placed 2nd on Beam with a 9.150. Zia Willett is a Level 9 and she tied for 2nd on Floor with a 9.050. Mackenzie Pringle is a Gold and she placed 2nd on Vault with a 9.475, 1st on Beam with a 9.750, tied for 1st on Floor with a 9.575, and placed 1st in the All Around with a 37.975. Sebria Cunningham is a gold and she placed 1st on Vault with a 9.700, 3rd on Floor with a 9.300, and placed 1st in the All Around with a 37.900. Neveah Day is a Gold and she placed 1st on Floor with a 9.450. 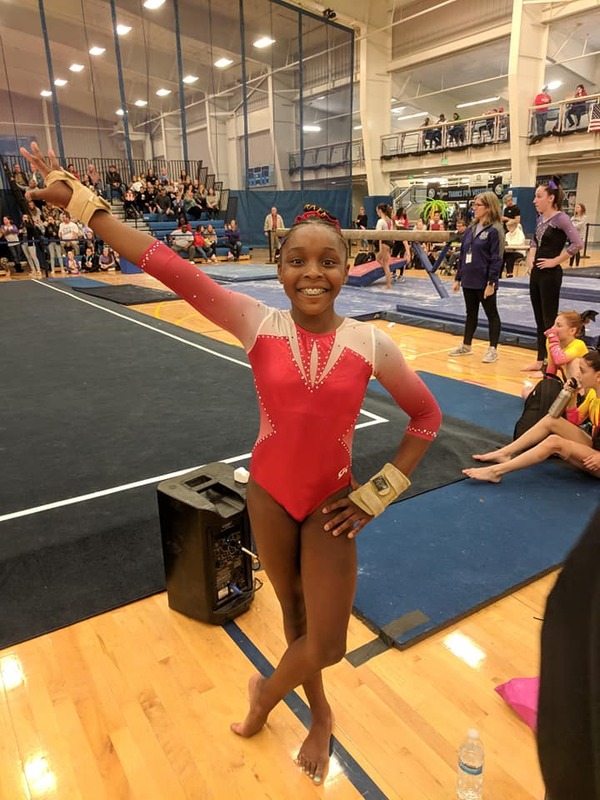 Ja’Miah Samuel is a silver and she tied for 1st on Vault with a 9.450 and tied for 3rd on Beam with a 9.425. Jana Roesler-Vance is a Gold and she tied for 2nd on Bars with a 9.300 and placed 3rd on Floor with a 9.275. Kennedy Newton is a Silver and she tied for 3rd on Bars with a 9.325 and placed 3rd on Beam with a 9.575. Lorin Aleria is a Gold and she placed 2nd on Beam with a 9.625. Yazmin Darby is a Silver and she placed 2nd on Bars with a 9.175 and 1st on Beam with a 9.725. Becca White is a Gold and she tied for 3rd on Floor with a 9.150. 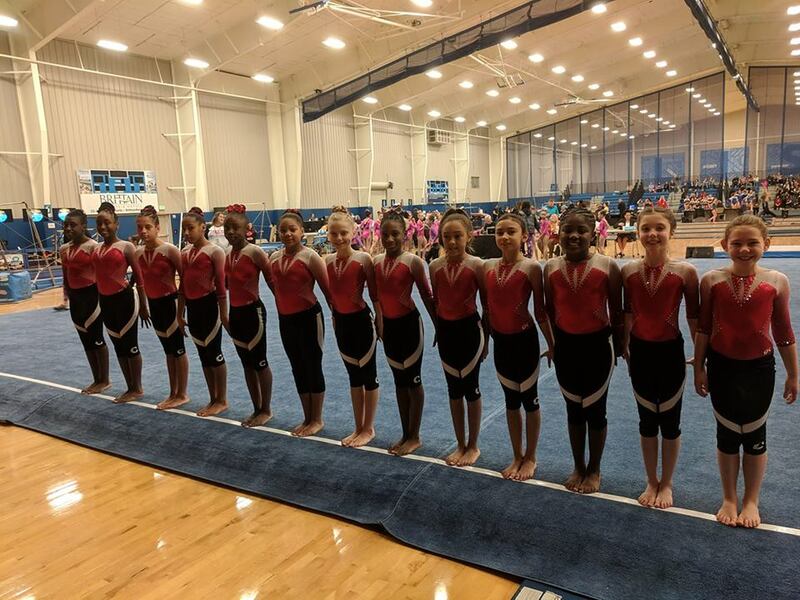 Madison Solomon is an AAU Bronze and she placed 3rd on Vault with a 9.325, 3rd on Floor with a 9.175, and placed 3rd in the All Around with a 35.825. 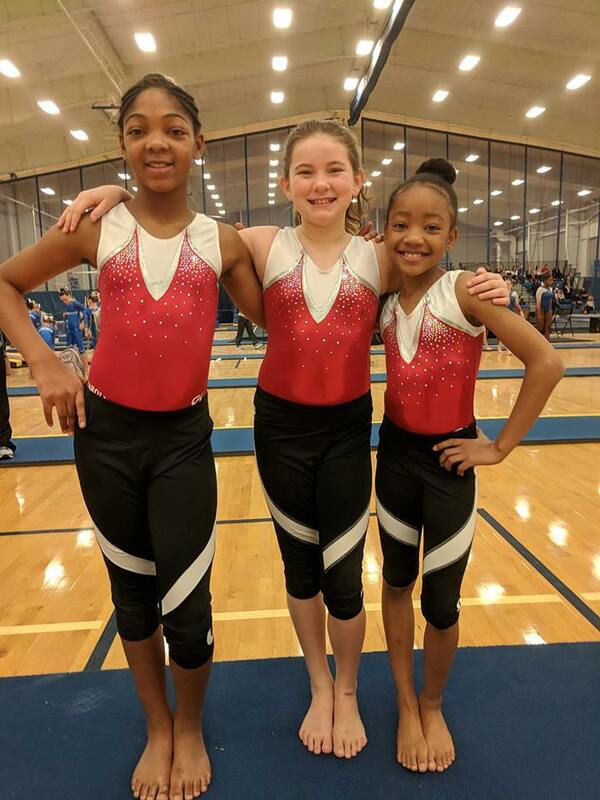 Mya Walker is an AAU Silver and she placed 2nd on Vault with a 9.000, 3rd on Bars with an 8.825, 3rd on Beam with an 8.750, 2nd on Floor with a 9.100, and placed 2nd in the All Around with a 35.675. Shelby Cole is a Silver and she tied for 3rd on Bars with a 9.150. Kristian Jackson is an AAU Bronze and she placed 3rd on Beam with a 9.225. 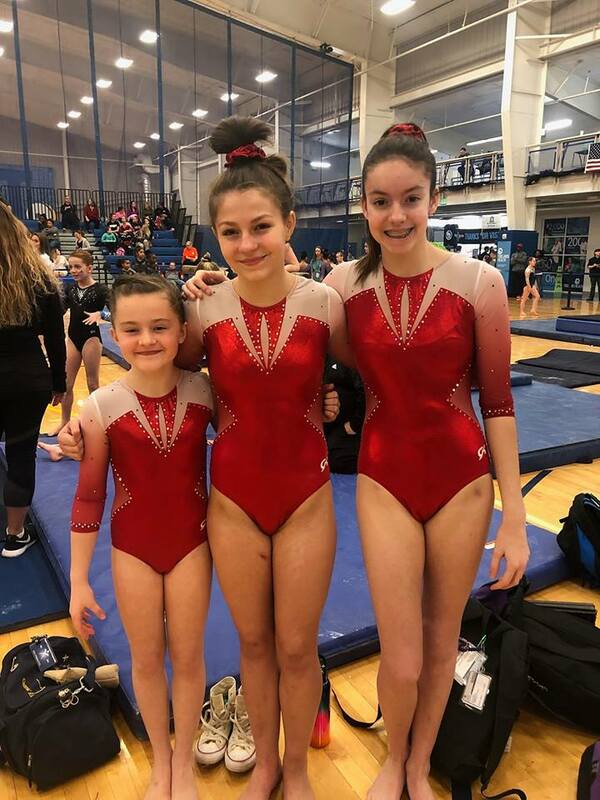 Samantha Faber is an AAU Silver and she placed 2nd on Beam with an 8.925, 3rd on Floor with a 9.000, and placed 3rd in the All Around with a 35.300. Morgan Horlback is a Silver and she tied for 2nd on Vault with a 9.050. Gabriella Downey is an AAU Bronze and she placed 3rd on Beam with a 9.150 and placed 3rd on Floor with a 9.100. Queseya Rhooms is a Gold and she tied for 3rd on Vault with an 8.950 and tied for 3rd on Floor with a 9.050. 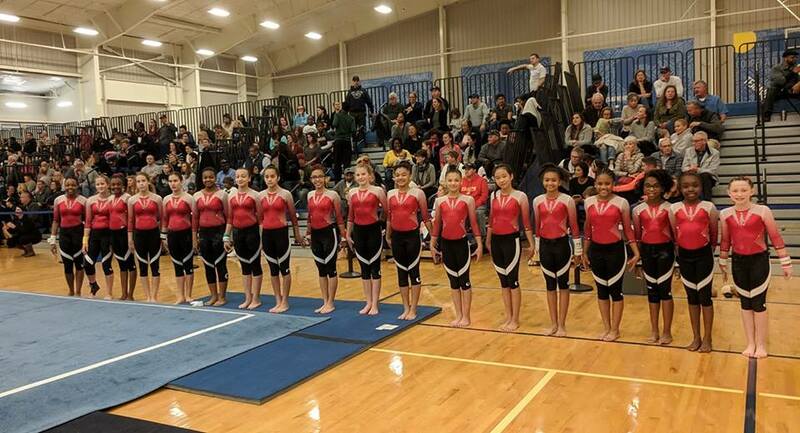 Sierra Smith is an AAU Silver and she placed 3rd on Vault with a 9.150, 3rd on Bars with an 8.000, 3rd on Beam with an 8.600, 3rd on Floor with an 8.700, and placed 3rd in the All Around with a 34.450. Gabrielle Cherry is an AAU Silver and she placed 3rd on Vault with an 8.850 and placed 2nd on Bars with a 9.200. Ivy Sarant is an AAU Bronze and she placed 3rd on Bars with an 8.450. Aaliyah Skaggs is a Gold and she tied for 3rd on Floor with a 9.050. Reese Peck is a Gold and she tied for 2nd on Bars with a 9.300. 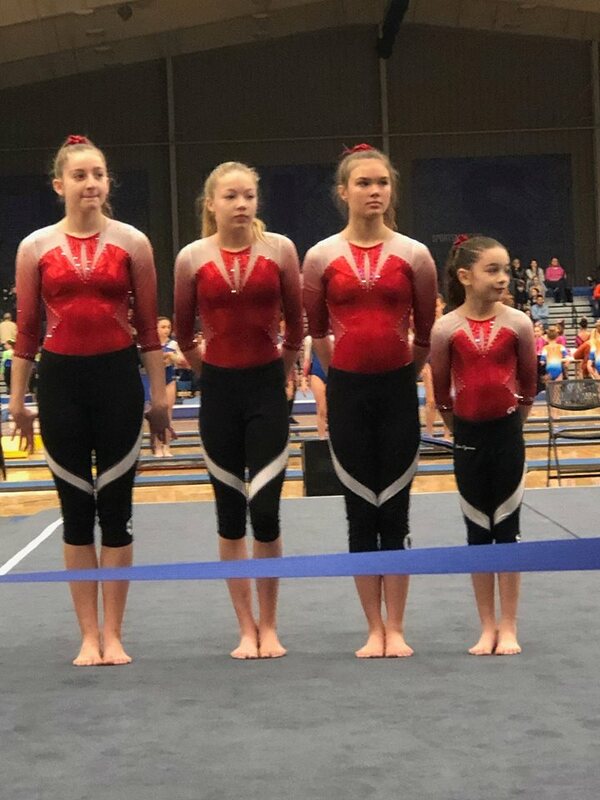 Halle Morris is an AAU Silver and she placed 3rd on Bars with an 8.525, 3rd on Beam with an 8.425, 3rd on Floor with an 8.200, and placed 3rd in the All Around with a 33.000. Jaylen Branham is an AAU Silver and she placed 3rd on Vault with a 7.900. 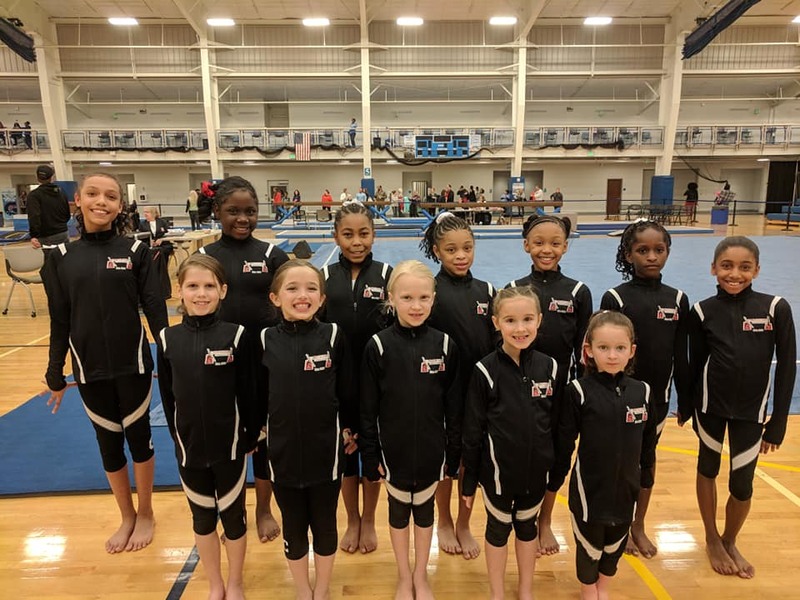 GREAT JOB TO ALL OF OUR GYMNASTS THAT COMPETED AT THE ULTIMATE BEACH CLASSIC!